Don’t Miss Our Annual Wool and Mohair Show!!!!! 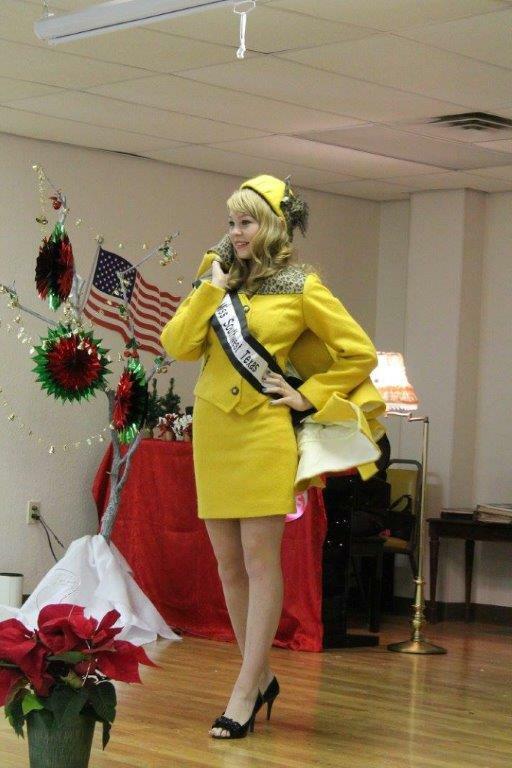 Previous show model wearing a bright yellow Mohair skirt and jacket. Our show will be held at the Ozona Senior Center, Saturday December 5, 2015 @ 2pm. Wool and Mohair jackets by Dolores Unique Designs in Camp Wood, Tx! Refreshments and exciting prizes will be given out! TICKETS ARE STILL FOR SALE, COME BY AND SEE US!